View More In Topographic Maps. onXmaps has combined BLM, Forest Service, USGS Topo Quad, and PLAT book maps to give you HUNT Georgia for Garmin GPS, the MOST informative GPS map of Georgia ever created! This microSD Chip gives you a color-coded map of Georgia showing public & private land boundaries with land owner names, Game Management Units, topo information, roads, trails, and much more! 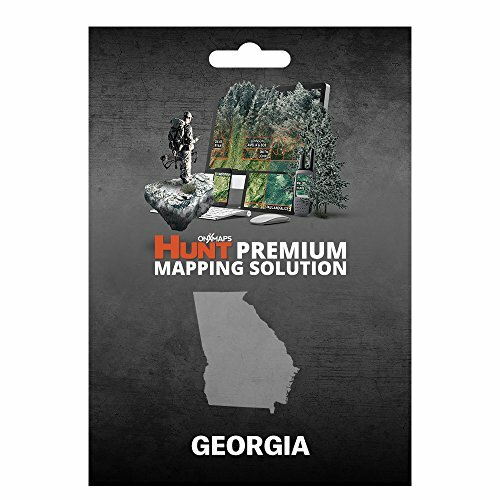 Simply plug the MicroSD Chip into your compatible Garmin GPS to get instant access to Georgia hunting map data statewide. Endorsed by numerous State and Federal agencies, HUNT by onXmaps is the most reliable source for accurate and continually updated land ownership hunting maps on the market. Your HUNT Chip now includes a FREE 1-year HUNT Membership! Activate the HUNT Membership redemption code inside your packaging to access your maps on your mobile phone, tablet, and computer PLUS receive automatic Chip Updates. If you have any questions about this product by onXmaps, contact us by completing and submitting the form below. If you are looking for a specif part number, please include it with your message.